PIEDRAS NEGRAS, Coahuila — A former governor singled out in U.S. and Spanish courts as a surrogate of Los Zetas cartel lost his bid for Mexico’s Congress and a chance at receiving prosecutorial immunity. 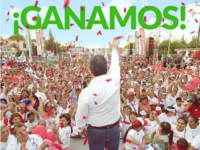 PIEDRAS NEGRAS, Coahuila — Anger continues to spread among residents as more allegations and evidence indicate efforts to steal the recent gubernatorial election appears to have been carried out on behalf of the ruling party. PIEDRAS NEGRAS, Coahuila — The arrest of various individuals caught trying to pay off voters and other claims of election fraud tainted the recent gubernatorial election in this border state. One of Mexico’s most respected newspapers has exposed a series of multi-million dollar bank accounts and transfers made on behalf of the former cartel-linked governor of Coahuila. The Los Zetas cartel-linked former official claims to be the victim of a political attack. Un ex-gobernador que ha sido relacionado carteles Mexicanos de la droga fue expulsado de su partido. 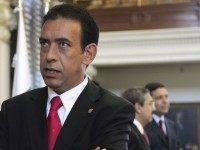 A cartel-linked former governor of Coahuila has been kicked out of his political party. 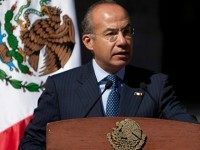 SALTILLO, Coahuila — A former Mexican president has accused the former governor of this state of having allowed Los Zetas drug cartel leaders to “live comfortably”. 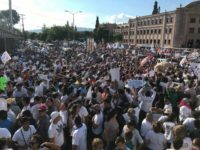 U.S. news outlets appear to have forgotten that the Juarez Cartel and multiple acts of corruption have been linked to the election of the current Mexican President, Enrique Peña Nieto. 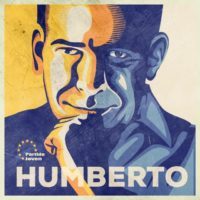 The Mexican president’s ties to cartels, the mysterious release from prison of major cartel figures during his presidency, and the fact that regions of Mexico are under operational control of these paramilitary transnational criminal organizations during his presidency are rarely, if ever, reported in the U.S. The outrageous number of journalists who have been murdered or who have simply disappeared in Peña Nieto’s Mexico is also rarely reported. 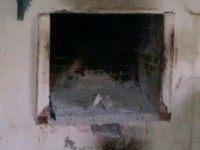 Mexican authorities have arrested the former mayor of a rural community in the border state of Coahuila in connection with the kidnapping, murder and incineration of hundreds of victims through a network of ovens at the hands of the Los Zetas cartel. The arrest comes after Breitbart Texas exposed not only the horrors of the mass extermination, but also the cover-up and complicity of the Mexican government.